Hello everyone. After several years and many attempts to resurrect the old US Masters system, we can finally say it HAS happened. Over the past few months several T.O.s and Players have come together and put several hours into getting this to happen. 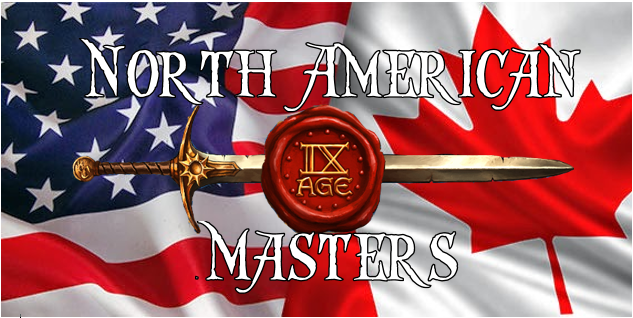 So we are pleased to announce the 2019 North American 9th Age Masters!!!!!! Welcome to the Home site for The 9th Age North American Masters Event. As more information is decided and finalized, this site will continue to grow. So check back for updates.